You can take a look at this text on Google Books. A video of it is also available below. You might recognize Taback’s art from his Caldecott-winning Joseph had a Little Overcoat, and this book would pair nicely with it. Taback seems to gravitate toward cumulative stories (see here and here), which could prompt conversations for a good genre study (I know “cumulative stories” isn’t really a genre, so please help me if you know a better label). If you DO have a cumulative story study, make sure you include class favorite Drummer Hoff! Oooh! Or even better! 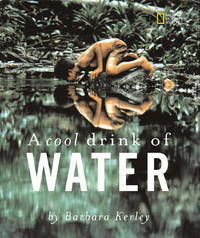 You could study this book along with fantastic cumulative story The Mitten! Use any version you prefer. I like the original by Alvin Tresselt or the adaptation by Jan Brett (clicking on the afore-linked link will take you to some rad Brett-designed animal masks so you can perform the book). Here’s a math lesson with the same title as the book, but it’s actually totally unrelated. It aligns nicely to 2nd grade standards, though, so I figured I’d pass it along. 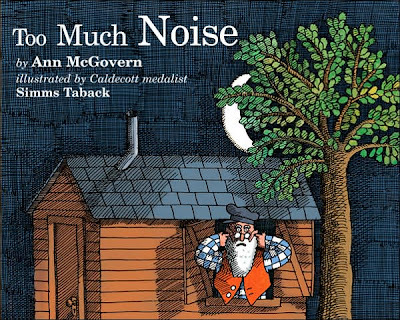 I wonder what it would be like to use this book at the beginning of the year to prompt a conversation about appropriate levels of noise at different times in the classroom. Summarize text; include a sequence of main events. Remember flannel boards? They’re still relevant to educational best practice today! These days, the buzzword attached to them is “narrative input chart,” which lets students physically see the sequence of the story. It’s particularly effective in a cumulative book like this one. You can see a narrative input chart in action (in Chinese) here. Recognize literary elements (genre). See above for my discussion on cumulative stories. I don’t know if that fits with this strategy, but I figured I’d categorize it here just the same. Tune in to interesting words. In my vocabulary lessons with my students, we often talk about the idea that “interesting words” don’t necessarily need to be the longest, most unusual words, they can also be short words or any words that are extremely effective. 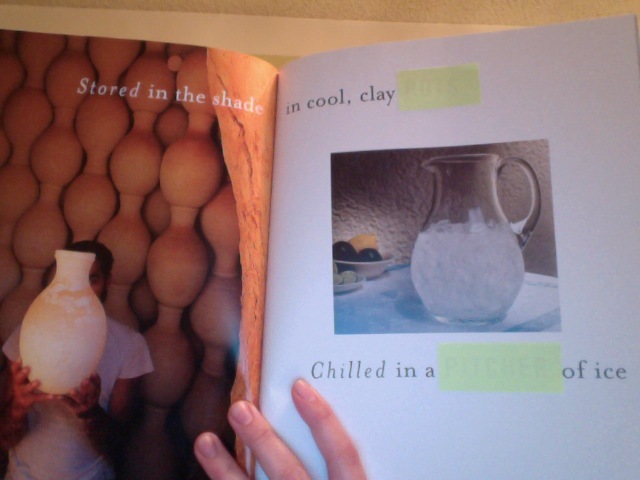 There aren’t any particularly striking words in this text, but the repetition of phrases in the text is important. This might be a good book to connect the strategy of using interesting words to the writing strategy of varying sentence length and structure. 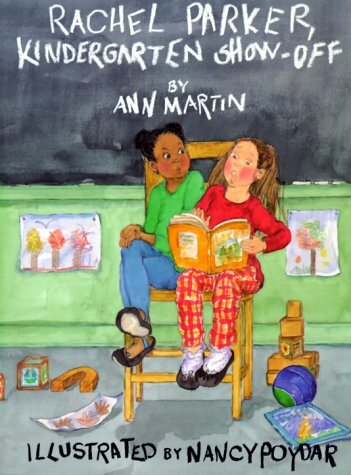 Chances are, if you are of a certain age, Ann M. Martin means Baby-Sitters Club. Although she ended the series in 2000, she actually remains pretty active online, posting updates every few months to her Scholastic site. The biography posted there says she’s currently interested in writing books set in the 1960s. 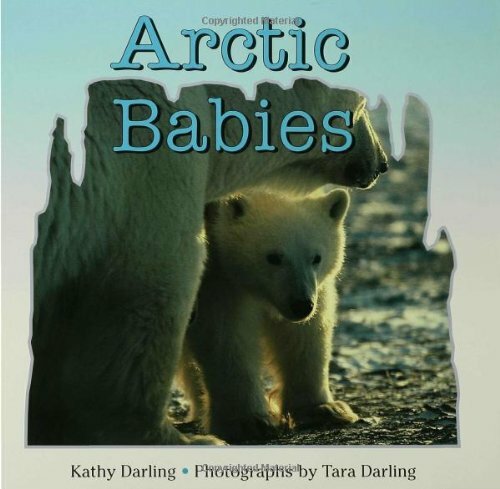 If you’re interested in reading gearing-up-for-kindergarten books, you might want to touch base with Sarah Stock, because I know she’s been reading up on them lately. Plenty of great ones exist, but not many talk about someone moving to the class in the middle of kindergarten. Conversely, plenty of books about students moving deal with the acquisition of new friends (including this year’s Battle of the Books novel Allie Finkle’s Rules for Girls: Moving Day), but it’s a bit more rare to find one that looks at it through the lens of shifting classroom dynamics because of the addition of a new personality. Last I checked with Bev, our transient rate has decreased to somewhere around 25-30 percent, but new class members is something bunches of our students can relate to. Predict what will happen, use text to confirm. Older students who may be familiar with the basic “Happy about new kid, disappointed about new kid, BFFs with new kid” structure could be encouraged to go deeper in their predictions. What will their fall-out look like? How will the reconcile? How will they move forward with their friendship? How will their relationship impact the class at large? Infer and support with evidence. Neither Rachel nor Olivia admit that they’re jealous of each others’ talents and home lives, but their actions and dialogue reveal they feel otherwise. This might also be a good point to talk about a reliable narrator — how do we know that some of what Olivia says is actually exaggerated or incomplete? Use punctuation to enhance phrasing and prosidy. This is one of those rare picture books where there’s actually paragraph indentation, especially indents due to dialogue. It’d be useful to point this out during a shared reading passage, or to use a passage in a writing workshop conversation about conventions.